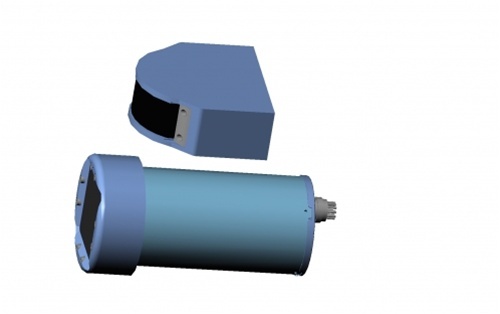 The FS-3DT-B is one of FarSounder's main products for surface ship navigation and obstacle avoidance which uses Dual Transmission™ technology. 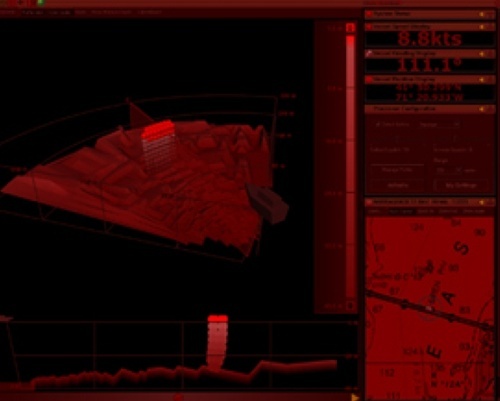 It provides a 90° field-of-view depth map with a single ping. The FS-3DT also includes a narrow beam 1/4 mile range mode. This Dual Transmission™ design can be configured to automatically switch between the standard 90° ping and the long range 440m narrow beam ping. The system includes a 2U rackmount power module and a streamlined sonar head with Dual Transmission™ capabilities. 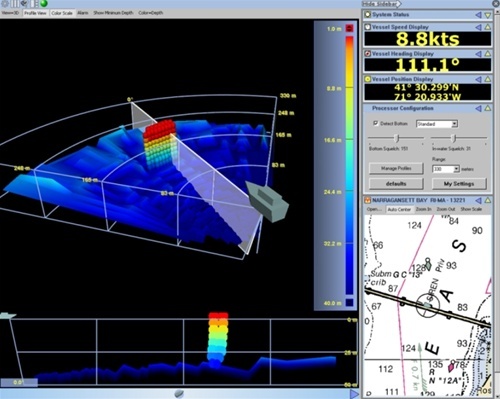 The user interface is FarSounder's SonaSoft™ software which is a Windows XP software package that is capable of networking a single sonar head with 1 user interface station. Transmitter and receiver mounted in separate modules has allowed the form factor to be significantly reduced, together with a more streamlined styling. Vessels such as high speed catamarans, fine line motor yachts and sailing vessels can now benefit from the new design with the same levels of performance that are found on the FS-3DT, and use the same Dual Transmission™ technology.